Whatever happened the DebbieBasher. She's been MIA for a while now. 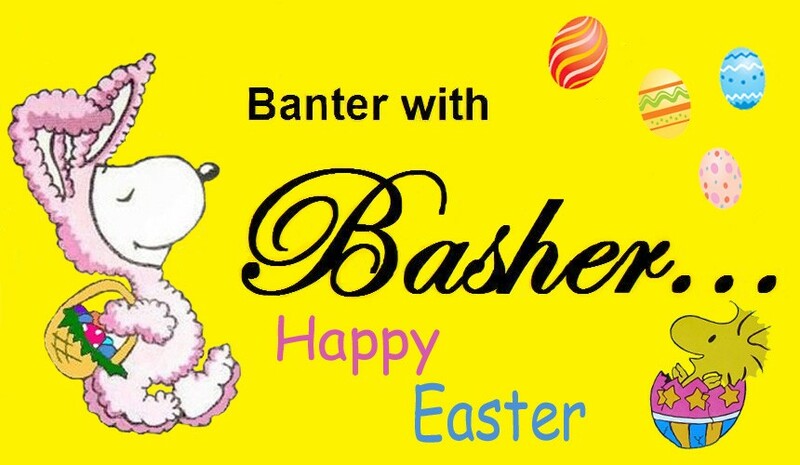 Banter w/ Basher » Community » The Welcome Wagon » Whatever happened the DebbieBasher. She's been MIA for a while now. I wonder if she snuck over to Indiana to see Pirate. I don't know where DebbieBasher is...but DebtorBasher is here! My computer crashed and I had to reinstall my Windows on it. Had to do it again twice since then. Now, I can get back on but it will randomly shut itself down right in the middle of everything. Justice...I can't get access to my SBC email account for a long,long time, since AT&T took it over. I need to call them...there's some kind of procedure they have to get access to it. Thank you! HEY L@@K....today is my birthday and I'm 28 years old! Basher is back! See, I told you I know a guy that knows a guy that knows a guy. Justice74 wrote: Basher is back! See, I told you I know a guy that knows a guy that knows a guy. That guy you know that knows a guy that knows a guy told me if I didn't get back here...the Basherville gates would be removed and it will be infested by cats, NeverAgainAmazon and Lidman. I knew I couldn't allow THAT to happen! Just remember, "Stripes" isn't really a cat. He just thinks he is. And, he's great for forcing confessions from "suspects"...or people that owe me money..
My favorite cat is Garfield. Pizzathehut wrote: My favorite cat is Garfield. My favorite cat used to be RIPT from My3Cents. Garfield is a favourite cat of mine, too. Sleeps and loves lasagna. A low blood pressure lifestyle! Riptt has stopped in here not too long ago, Justice. Tom from Tom and Jerry is my favorite cat. DebtorBasher wrote: Tom from Tom and Jerry is my favorite cat. I thought you hated cats! I think she hates mice even more! IF I had to pick a favorite...It would be Tom. Surely you like Sylvester, too? After all, he's always getting out-witted by Tweety! "I taut a tawl a puddy cat!" AlainM3C wrote: Surely you like Sylvester, too? After all, he's always getting out-witted by Tweety! Yes! I just thought about him while driving to work yesterday and thought I needed to come back here to post that. Just another example of an Evil cat. LOL. If they hadn't killed so many cats back in medieval times, they would not have had as much Bubonic Plague because cats were killing the rats that had the fleas that spread the plague! And talking cats, like "Salem" on the TV show "Sabrina the Teenage Witch" (old version) can be very useful! They certainly scare the Jehovah's away from the door! We haven't seen her since sometime around Thanksgiving. Hope everything is okay with her. Everyone is MIA right now! Must be a cold winter or something? Hi and welcome back! Good to see you! Good to be back...how ya doin'? Anymore 'Skillet Head Lumps' from the Mrs.? 26 Re: Whatever happened the DebbieBasher. She's been MIA for a while now.